OBrien was educated in Marian College, Ballsbridge. His brother Kevin is also a member of the Ireland team. Their father Brendan played 52 times for Ireland. His sister Ciara OBrien is in the Ireland womens hockey team. Niall first gained recognition playing domestic cricket in Leinster for the Railway Union Cricket Club earning a call up to the Ireland A team. From there he established himself as Irelands number one wicketkeeper. OBrien himself has said that he has a fiery temperament. On 17 June 2004, he angered Brian Lara when Lara refused to walk after being apparently caught behind. Ireland caused an upset when they went on to win the match, with OBrien scoring 58* off 57 balls. In 2006 he was banned for one ICC Intercontinental Cup match after an outburst criticising the groundsman at an Intercontinental Cup game with Scotland because of condition of the pitch. OBrien has spent many an Australian summer playing for Mosman Cricket Club in the Sydney Grade Cricket competition. OBrien also assumed a part-time coaching role while at the club and considers the time spent in Australia as some of the most vital parts of his career. 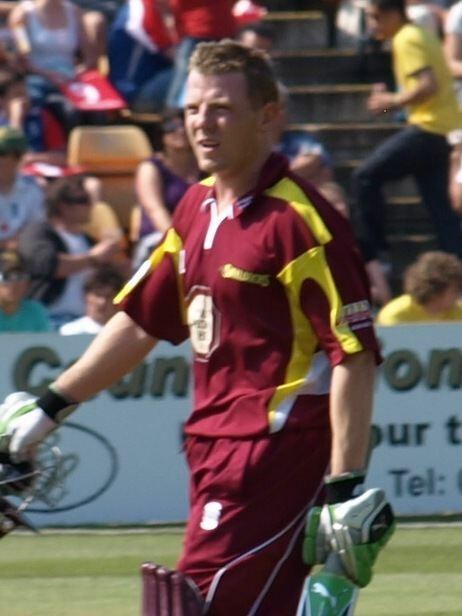 He also played two seasons of first grade for North Sydney in the Sydney Grade Competition in 2003/04 and 2005/06. He also played a season with the Mosman club as an 18-year old.